I live in Florida and live with chronic pain in my neck. I use other otc patches. Can I order these from your website without fear of repercussions? We don’t sell any products directly through our website, sorry. Kathi can you get Lidocaine patches from your doctor? They help and sometimes your insurance will approve them because they are an anesthetic not a narcotic (opiate) I am allowed 3 patches a day plus I use cbd oil for sleep and vape a concentrate marijuana oil (micro dose) for pain. I never need to get high, did that plenty in the 70s, and am on my way to getting off my opiates voluntarily. My previous doctor cut them back so far they are hardly more effective than Tylenol anyway. Good Luck. Would live to hear opinions on the indica patches for insomnia. Thanks for the comment, Sonia! We’ll try to get some indica patches reviewed very soon! Does it work for people suffering from Endometriosis? I’m desperate. Back pain so severe I’m ready to just give up. How do I get the patches, meds make me sick and just not helping anymore. Why, why, why is there such a problem using something natural like the patches….I live in Indiana, is there anyway I can get the patches?? Are we able to come buy the patches, and take them out of state for personal use only? Do you make patches that are pure CBD oil that can be purchased and used legally in all 50 states? 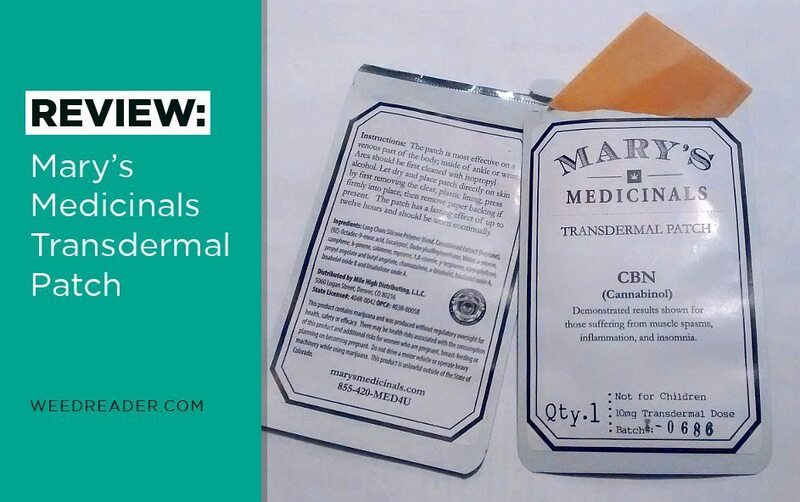 They do send CBD patches to all 50 states or so they say on their website.